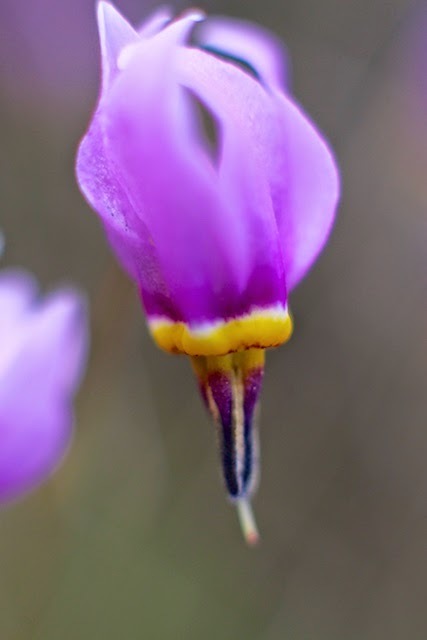 Explore the flora of the Methow Valley with fellow plant lovers! Anyone is welcome to join these free trips. Please reserve a spot on any hike by contacting the trip leader. Explore Spokane Gulch early spring flowers, including possibly Steer's Head, Arrowleaf Balsamroot, Spring Beauties, Yellow Bells and more. Wear sturdy shoes suitable for walking over icy snow patches, and/or wet, muddy areas. This is Mazama's most popular trail and the path is already well beaten in, across the few snow patches. Expect to be out a few hours. 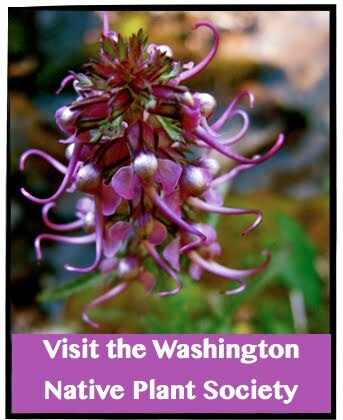 Washington’s “Native Plant Appreciation Week” is April 21-28 so let’s get out and celebrate it with a hike that touches many of the Methow's different ecological communities including riparian, shrub-steppe and dry forest. This is a half day, moderate hike that will go up the south side of Patterson Mtn to the top and loop around the north side back to the beginning. There are steep sections but we'll move at a naturalists' pace. Expect exceptional views, blooming flowers, tree and shrubs, and some birdsong too. Bring lunch, a drink, clothing appropriate for the day's weather, and any other optional stuff you might want like binoculars, field guides, camera, etc. Discover Pass required for the parking lot, or park on the road. We’ll be back to the cars between 2:00 and 3:00pm. Limited to 12 people, registration required. An uphill and off-trail hike near the confluence of the Methow and Columbia Rivers, hiking up the watershed divide between the two. This is not particularly strenuous as we will go slowly and only hike a mile or two, but there is no trail. We will be enjoying the plants of the lowest part of the watershed. There are a few unusual species down there we might see. We will be back about 2:00pm. On the drive up to the Lake Creek Trailhead we’ll look for Lewisia tweedyi, a cousin to our beloved bitterroot. It blooms along the road, over the river and up Lake Creek. Once at the trailhead, we’ll hike 4 relatively flat miles to Black Lake. It is a great option for early season hiking due to its low elevation, but it can be sunny and hot, so dress accordingly and bring sunscreen. We should see lots of blooming penstemon and ceanothus, among many other flowers. Bring lunch, a drink, clothing appropriate for the day's weather, and any other optional stuff you might want like binoculars, field guides, camera, etc. This is a full day hike, but not a strenuous one. Limited to 12 people, registration required. NW Forest Pass required at Lake Creek Trailhead. We’ll walk the Chewuch River Road from the end of the road. This is an easy walk, timed to occur when Lewisia tweedyi is in bloom. We will see the Chewuch Research Natural Area, featuring large-scale disturbances. We will hike from the end of the Chewuch River road (either Thirtymile Trailhead north, or if the bridge is out, we will walk south along the main road). Bring gear for any type of weather, including mosquito repellant. We will carpool to the end of the Chewuch Road and begin walking around 9:30, returning to town around 2:30pm. Limit 15 people. A great introductory workshop to get to know and recognize our common grass species in the Methow Valley, and learn how to key them out with hand-lenses. Registration required. $50/person. We will visit verdant meadows southeast of Hart's Pass, along the road, paying close attention to the umbel family, its chemistry and uses by humans and wildlife. There is ample camping in the area for those who want to explore more on their own, otherwise we’ll be back around 2pm. Limit 15 people. This will be an all-day adventure. We will park at the Long Swamp Campground and explore from there. Long Swamp is a very large wetland complex that holds many botanical treasures. There are no trails. Erica, the hike organizer, is an expert in mosses and can teach some basic moss identification and show the group some interesting mosses found in this unique environment. Otherwise you can simply explore the wetland. You will need rubber boots and bug repellant, and then normal field gear (lunch, water, layers of clothing, sun protection). It takes over an hour to drive to the campground. If you plan to camp or meet at the campground, please coordinate with Erica. Limit 10, registration required. Trip Leaders, here are the documents to print for each walk you lead. will be in off trail in the shrub-steppe. We will do some botany-- learning to identify plant families, identifying the grasses that we see, and keying out a few plants just for the fun of it. we may or may not find. We will meet at the trailhead parking lot adjacent to Winthrop Physical Therapy at 9 AM, and will try to be back to the cars at 1 PM, after walking 2-3 miles. Our route up the Goat Wall Trail will zigzag gently from the climbing rock parking lot, rather than straight up. We'll meet at the Mazama store first, to insure all have lunches, water, and to carpool. 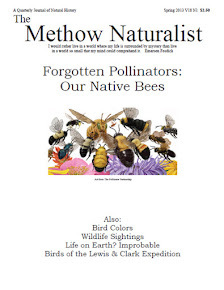 Register with Eric Burr & Margrit Broennimann burrski@methownet.com. Sweetgrass Butte is about 17 miles out of Winthrop up the Cub Creek drainage on mostly FS gravel roads. High clearance vehicles may be needed. You can drive to the top of the Butte, but road conditions may not be ideal. At 6100’ the plants are starting to take on a bit of that subalpine and alpine feel. Once up to the Butte, the terrain is easy to moderate depending on where we end up. Good hiking shoes/boots are recommended. Bring a lunch, bug repellant, sunscreen, water, and the basic back country attire for all possible weather. We will meet at the Barn in Winthrop at 8am to carpool. We will return to the Barn no later than 3 pm. I will check on road and snow conditions just prior to the trip and let those signed up know what to expect. Contact Therese Ohlson peteandtherese@gmail.com or call 509-997-0118. This is an 18 mile round trip overnight campout in the Pasayten Wilderness. We plan to camp near the Lost River confluence of Deception Creek where we will look for volcanic rocks on Sunday morning. The total elevation gain and trail level of difficulty is moderate, crossing two low passes Billy Goat Pass (<1500 ft relief) and Lucky Pass (1200 ft relief). Email George for more information and a list of required gear for this extended outing. A short version of the hike that only goes to Billy Goat Pass for a Saturday day hike is possible if a leader volunteers for the return portion. Billy Goat Pass is an easy 1.5 mile hike beginning at Eightmile Pass Trailhead. It goes along a Rocky Trail and ends at the Pasayten Wilderness Boundary. Rock lovers will like shrubby penstemon and saxifrages; shade lovers will like Tiarella. Confirm attendance with leader George Wooten (509-997-6010, george232@centurytel.net), limit 12 people total. You will need Wilderness gear, backpack, meals for 2 days, sleeping bag and a tent. We will carpool from Winthrop. Parking permits are required for $5 per day if you don't have a pass. A short (2-miles) but steep hike up the trail that goes up the ridge just south of Twisp. Approximately 9 AM to noon. There is a charming dwarf lupine up there that will be in the youth of its bloom, plus some other unusual plants. We will also observe pollinators and try to identify them and watch the ravens play along the cliffs. Meet in Hank’s parking lot at 9 AM (we won’t leave cars there). We’ll go slow and spend lots of time talking about the edible and medicinal uses of the plants we see. 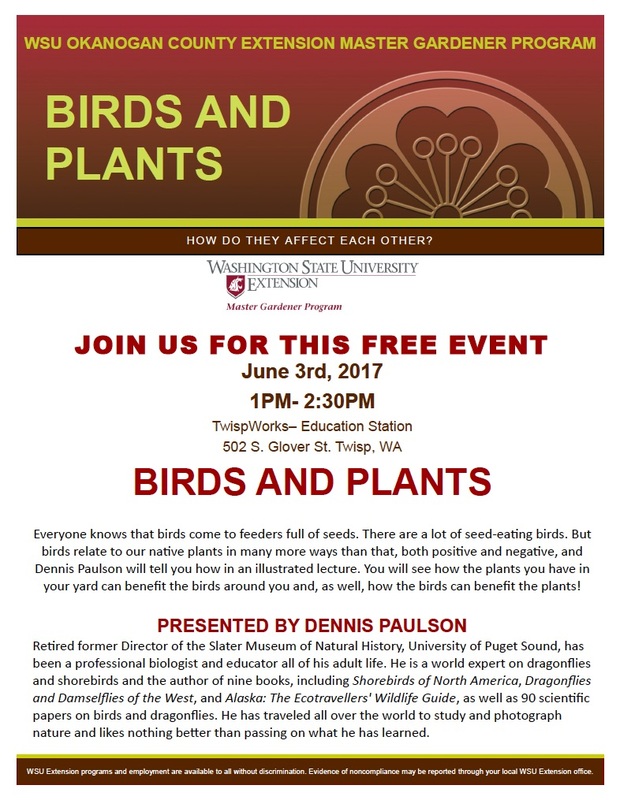 We hope to see yellow bells, arrow leaf, spring beauties, yarrow, bitterroot, lupine, various Lomatiums and more. 10 AM. Spokane Gulch-Goat Wall: Moderate unmaintained foot paths up and back from whichever side the group is most interested in, with the possibility for a through hike(a soggy 3 miler) and car shuttles for those interested. Usually we eat lunch up at a view point and are back down mid-afternoon. 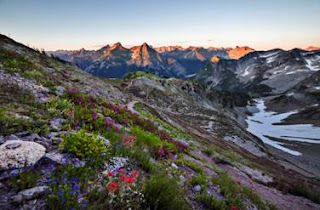 Early season flowers and birds on Mazama's most popular unofficial "trail" before the higher country opens up, with views of Gardner and Silver Star. Meet at the Mazama Store at 9 AM to organize and stock up with lunch stuff. There are over 100 species of grasses in the Methow, but most people do not recognize more than two or three of them. In this 9 AM to 3:30 PM program we will work in a botany lab set up at Twisp Works and in the field to learn to recognize 20 of the most common grasses in the Methow, and the basics of how to key out all grasses. This is a difficult 14 mile roundtrip hike up the East Fork Buttermilk trail to see the rare alpine forgetmenots and snow Douglasia blooming on Bigalow Mountain. There will snow to climb and descent at Hoodoo Pass. We will leave early, probably 6:30 AM. dana at methownet.com 509-997-9011. Middle Tiffany, just north of Tiffany Mountain, has a fascinating expanse of tundra-like grasslands with sporadic wetlands, a botanical wonderland. The hike is about 5 miles long with some elevation gain. Join us on Saturday, September 26 and/or Sunday, September 27, 2015, to help us plant thousands of fragile alpine plants on the high reaches of the Maple Pass trail. Long a local favorite, this trail boast stunning mountain scenery around every turn as hikers pass through alpine meadows and over mountain passes. High use and cross-country travel, however, have severely damaged fragile plants. Heather communities that took 10,000 years to establish themselves have simply been walked off. With your help, we will start restoring this special and sensitive place by planting seedlings and rehabilitating areas impacted by campsites. Camping along this trail is prohibited to protect the fragile plant community from further damage. However, with thousands of seedlings to plant, the Forest Service has granted us a special exemption from its regulations and is allowing NFF volunteers to camp in previously disturbed areas along the upper reaches of the Maple Pass Loop. This will minimize travel time to and from the planting areas and allow us to efficiently rehabilitate the campsites on Sunday. Join us for the full weekend and wake up to a view like this, or participate in either or both days of planting by hiking up in the mornings. 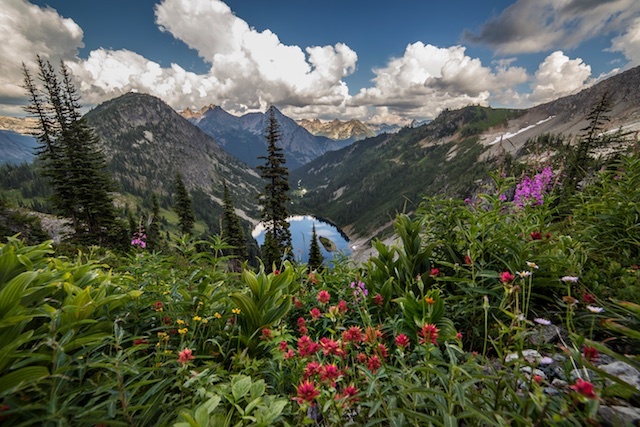 We will meet at 9:00 am at the Maple Pass Loop trailhead in the Rainy Pass picnic area on both Saturday and Sunday to hike on up and start planting! The Forest Service will provide work gloves, hard hats and tools. From Winthrop, drive west on State Route 20 about 35 miles to Rainy Pass. Park in the south parking lot on the left side of the highway. If you will not be joining us for the Plant-and-Camp, you can also camp for free in the beautiful Lone Fir or Klipchuck campgrounds. Please bring your all your own camping gear/supplies. Questions? Please contact Natalie Kuehler at nkuehler@nationalforests.org or (509) 996-4057. 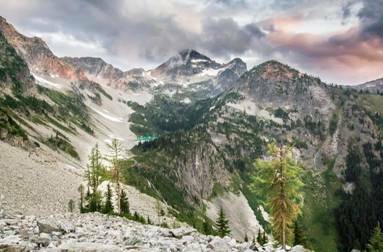 NOTE: If winter weather closes in on the North Cascades early this year and freezes the soil, this volunteer event will need to be rescheduled. We look forward to seeing you in the Majestic Methow! This event is sponsored by the National Forest Foundation and U.S. Forest Service.